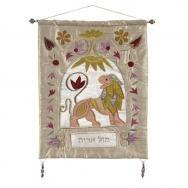 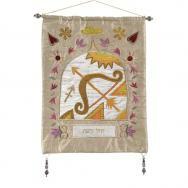 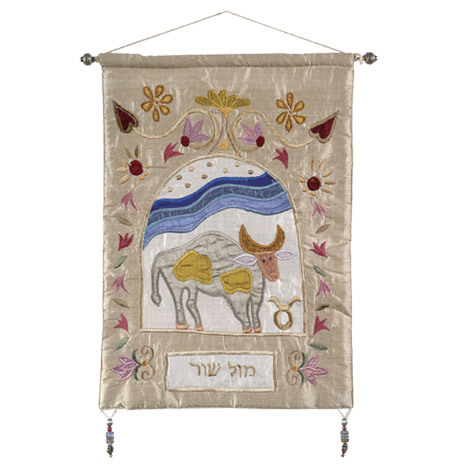 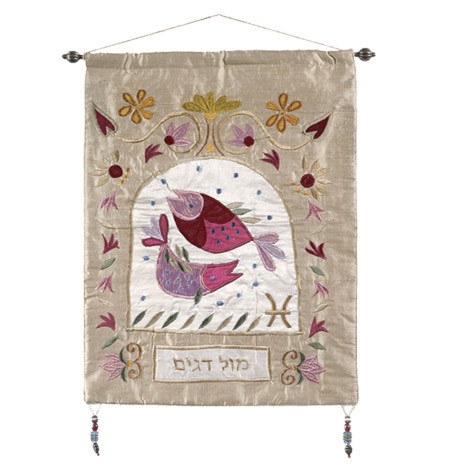 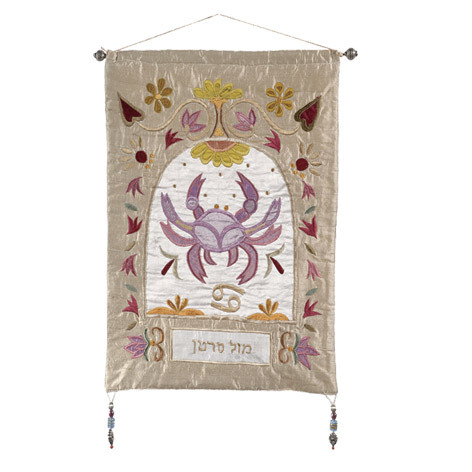 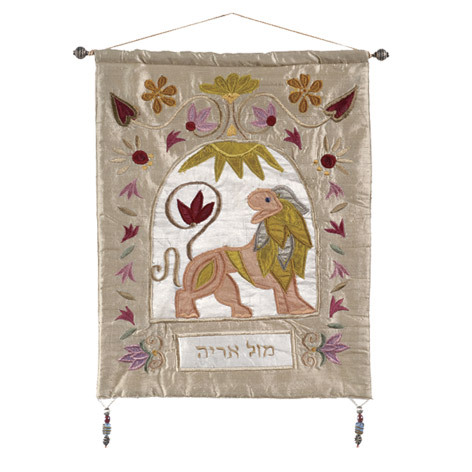 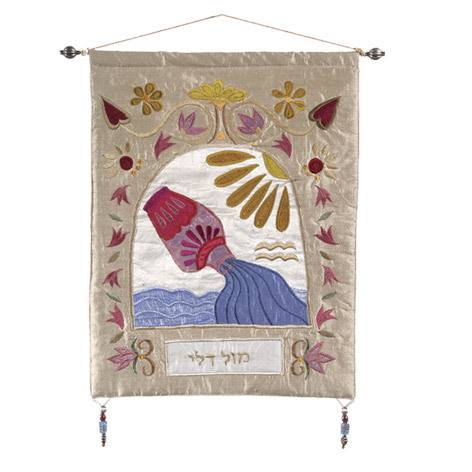 Yair Emanuel’s zodiac wall hangings are made of raw silk appliqué and colorful embroidery. 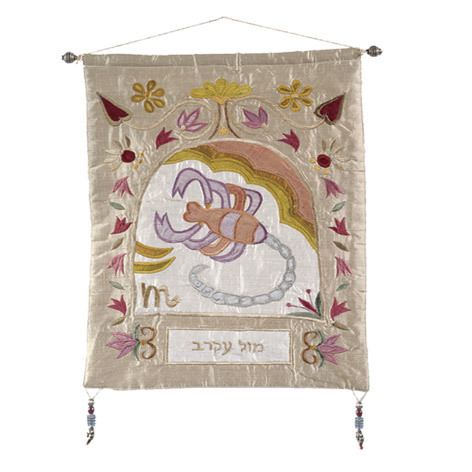 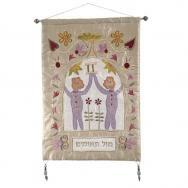 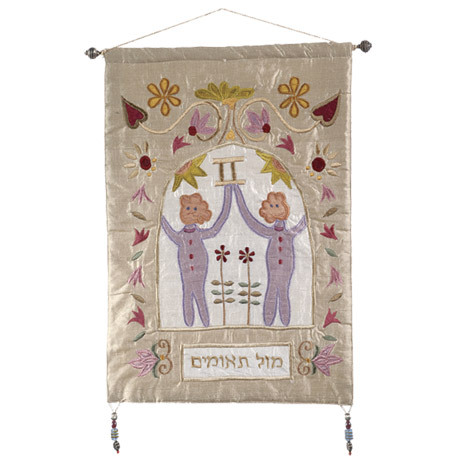 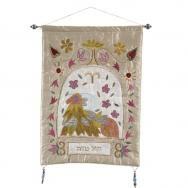 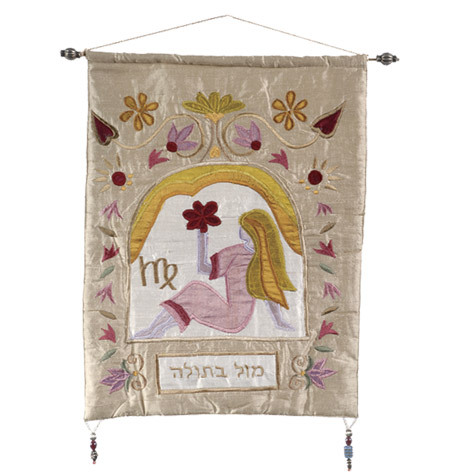 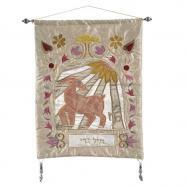 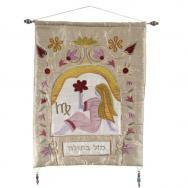 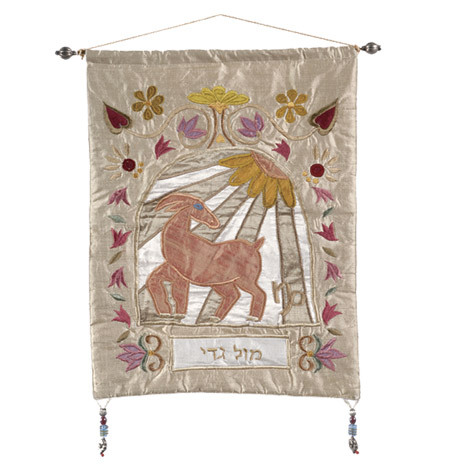 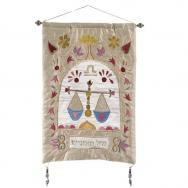 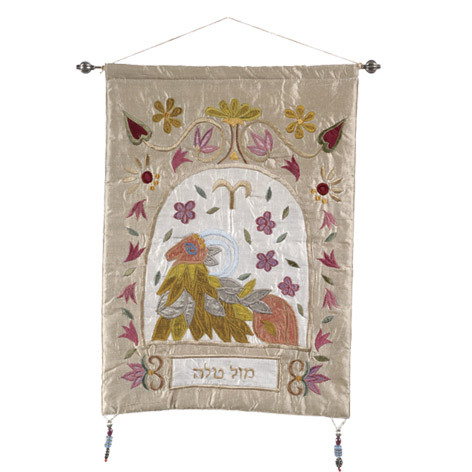 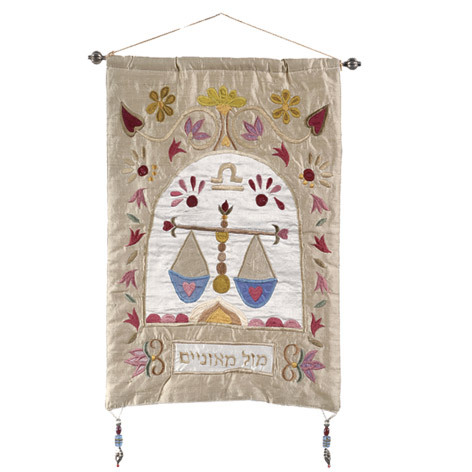 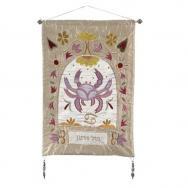 The hangings portray the twelve different zodiac signs along with their respective Hebrew or English names, and are suited as a decoration for the home or as a birthday present. 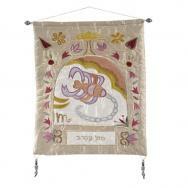 Flowery patterns with a sign or a figure symbolizing the zodiac sign adorn the hangings.